Our Lead Engineer Dr Neil Silke received his PhD in 2001 at the University of Birmingham in the UK. He then worked for Flomerics as a Consultant Engineer applying his CFD and Engineering expertise to provide consultancy services in a variety of different areas including the electronics and building services industry. He then became the Lead Engineer at Future Facilities in the UK in 2004. He grew the engineering team, who have become the market leaders in providing high quality consultancy services to major financial institutions all over the world. Not only being part of the facility design process, but also providing consultancy for existing Data Centres. 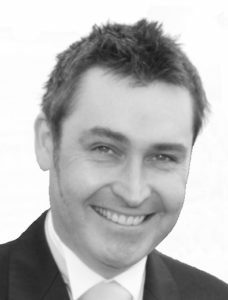 In 2012 Dr Neil Silke left Future Facilities, and joined DATACENTRECFD in Australia as the Lead Engineer. Using his technical know-how and experience in Data Centres and CFD we are delivering the same high-quality consultancy services in Australia and the surrounding ASIA-PAC region. We have partnered with Future Facilities, and can therefore provide their 6SigmaDC software suite, and any accompanying training. Our mission is to provide the highest quality Consultancy services to our customers. We pride ourselves on delivering consultancy services and reports which are founded on concrete science and engineering. Having been in the industry for more than 10 years we have seen too many 100+ page reports which end up as a paper weight, or a brief collection of colourful images not accompanied with any meaningful advice, or suggestions. Our distaste of such services and reports, only ensures to drive our passion to deliver quality services and reports.